Why The Jury Blamed The Injured Plaintiff. ≈ Comments Off on Why The Jury Blamed The Injured Plaintiff. Witness Preparation – The Classics. ≈ Comments Off on Witness Preparation – The Classics. This excellent post highlights important steps to prepare for trial. This is especially helpful when your trial is out of town. I like the emphasis on the trial notebook. Your lead counsel may specify something similar. Regardless, it is your job to make sure they have whatever works for them. Still, this trial notebook is ideal, and is an excellent model to follow. Some quick words about using technology in the courtroom. Visit the courtroom ahead of time. Write down the location of all electrical outlets. Take a lot of duct tape. Use duct tape to secure all wires and cords. Ask the judge’s staff whether the judge has a preference or pet peeves. Perhaps the judge has local rules for technology in the courtroom? Your Mother Was Right. Manners Matter. Regardless of who sits at the counsel table or part of the team sitting in the gallery, courtroom conduct matters. Many judges have their own set of courtroom rules. Like all local rules, follow them exactly. These are rules, not suggestions. It is especially important that your client understands the importance of proper court etiquette, as well as any family members or friends who may be seated in the gallery. What To Do When You Know the Jury Will Play With the Evidence. ≈ Comments Off on What To Do When You Know the Jury Will Play With the Evidence. Jurors, for the most part, take their job seriously. They want to do the right thing and do a good job. Regardless of whether you parade a cadre of expert witnesses in front of them, if your case hinges on how something works, the jury will want to try it out for themselves. You Never Know What A Jury Is Going To Do. ≈ Comments Off on You Never Know What A Jury Is Going To Do. When clients ask whether their case will win at jury trial, the standard answer is that we never know what a jury is going to do. There are times during trial when it may become obvious the jury is bored or highly engaged. Even then, do you know which way the jury will flop? Well, sometimes. Voir dire has given you some insight, as well as your own research. With the country presently divided, you may think people are easily pigeon-holed. You’re feeling confident about your opening argument. You may even think you have the jury eating out of your hand. But do you? Really? Trial Witnesses And Depositions Transcripts. ≈ Comments Off on Trial Witnesses And Depositions Transcripts. See also Overlearn Your Deposition, by Dr. Ken Broda-Bahm, Persuasive Litigator™ at http://www.persuasivelitigator.com/2017/02/overlearn-your-deposition.html. Litigation Tip – Balancing Emotion and Logic. ≈ Comments Off on Litigation Tip – Balancing Emotion and Logic. Use Plain English Rather Than Medical Jargon. ≈ Comments Off on Use Plain English Rather Than Medical Jargon. Storytelling Trial Lawyer’s Honey Pot. ≈ Comments Off on Storytelling Trial Lawyer’s Honey Pot. Every good trial lawyer is a storyteller. Good storytelling is the same as a good book or movie with a great plot and dialogue. It’s that kind of storytelling that wins trials. Excellent Advice for Witness Preparation. ≈ Comments Off on Excellent Advice for Witness Preparation. This post caught my eye. I was trained to prepare prospective witnesses to keep their answers brief, preferably to “yes” or “no.” If further explanation was needed or wanted, my lead attorney would ask appropriate questions during direct or cross-examination. Voir Dire and The Internet – The Litigator’s Way of Getting To Know You. ≈ Comments Off on Voir Dire and The Internet – The Litigator’s Way of Getting To Know You. Getting Up Close and Personal: Using Social Media in Jury Selection, by Dennis Elias, Litigation Strategy, Inc. Picking A Jury? Read This First. ≈ Comments Off on Picking A Jury? Read This First. Well, here’s a treat. Seven posts all in one on jury selection and jury questionnaires. How do you find the right jurors to hear and decide your case? Some people have a natural tendency to tell you whatever you want to hear. They are just trying to be helpful. Some potential jurors simply don’t want to be there, and hope to be dismissed. If I had to pick one trial reform that has the best chance of promoting reliable information in voir dire and in decreasing reliance on demographic biases, it would be the greater use of supplemental juror questionnaires. A well-designed questionnaire allows you to uncover the attitudes that are most relevant to bias in a given case context. Here are seven posts laying out the reasons why. How to Persuade the Jury to Blame One Party Over The Other. ≈ Comments Off on How to Persuade the Jury to Blame One Party Over The Other. [I]n the 1990’s, trial lawyers Gregory Cusimano and David Wenner investigated the issue. They presented fact patterns to hundreds of focus groups around the country and in that process they observed a consistent pattern: when they began their opening statement by talking about the plaintiff, jurors would blame the plaintiff for what happened. But, if they started with the defendant’s conduct, jurors blamed the defendant and placed much less blame on the plaintiff. [W]hen litigators are looking for a way to paint a bit of style and rhetorical effectiveness into their oral arguments, openings, or closings, the rule of three ought to be one of the first items in your tool box. Focusing on — you guessed it — three reasons, this post will explain why. What Skills Make a Great Trial Lawyer? 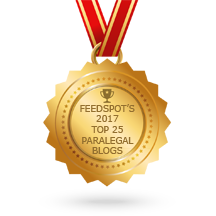 ≈ Comments Off on What Skills Make a Great Trial Lawyer? Earl Rogers was a famous attorney who died in 1922. He defended 77 murder cases and lost only three. He was one of the greatest trial lawyers in American history. The long running TV series, Perry Mason, was based upon Earl Rogers life. His daughter Della Rogers St. John’s wrote a descriptive book of his trial skills in Final Verdict which is not only enjoyable reading, but educational as well. We think about Clarence Darrow as a great trial lawyer, but when Darrow was charged with jury bribery in Los Angeles, it was Rogers he selected to be his defense attorney. Why Creating A Timeline Will Help Your Case. ≈ Comments Off on Why Creating A Timeline Will Help Your Case. In litigation, almost every case will benefit from a timeline that lays out key facts and circumstances in a chronological order. The process of making a timeline can help you, the attorney, organize and strengthen your argument, and the end result is a clear and compelling visual presentation that will help all parties involved better understand your case. But, which program should you use to create it? This is one question where there is simply no single best answer, and a lot depends on the forum you intend to use the timeline in. This post covers some benefits and drawbacks to different timeline tools and formats so you can determine which to use. To see a variety of timeline samples, please our timeline and portfolio sections of our website. Communication Tactics and Jury Persuasion. ≈ Comments Off on Communication Tactics and Jury Persuasion. No, I’m not talking about politics. I’m talking about communication tactics employed by Donald Trump. Omaha Nebraska jury consultant David Clark and I have engaged in an exchange of emails over a long period of time about the general subject of communication and in particular techniques taught at the Spence Trial College. However, since the presidential campaign has become active, our communications have focused upon Donald Trump and his communication style. Not because we are particularly interested in his political positions but because we both recognized that he employed significant communication techniques most people ignored. While most people regard him with intellectual disdain and are appalled by his verbal conduct, we believe there is a substantial amount of unrecognized communication tactics being used either knowingly or not. These are some significant techniques that we all should evaluate. . . .
Want The Jury to Pay Attention? Use Good Storytelling Skills. ≈ Comments Off on Want The Jury to Pay Attention? Use Good Storytelling Skills. Trying an employment case to a jury is an art. You are limited by a jury’s attention span (which, by the way, is getting worse as a result of 1,000 channel cable systems and 140 character tweets) to convey your message as quickly and as simply as possible. Complex legal arguments are out; creative storytelling built around a unified theme is in. . . .
Free Research Guides from PACE Law School Library. ≈ Comments Off on Free Research Guides from PACE Law School Library. Witness Preparation for Depositions. How to Say Enough But Not Too Much. ≈ Comments Off on Witness Preparation for Depositions. How to Say Enough But Not Too Much. One common piece of advice given to fact witnesses during deposition preparation meetings is that it isn’t their role to instruct opposing counsel on everything they ought to know: ‘Witness, Don’t Teach.’ . . . Earlier this week, I was working with an anesthesiologist who simply could not deaden his impulse to take each question as an invitation to explain, expand, and expound. Applying our advice to ‘just answer the question and stop’ proved difficult once he got into the expository groove of his typical conversation style with colleagues, patients, and family members. That habit is one worth breaking, even if it takes some extra work and focus. . . . To aid in the continuing effort to convince witnesses to take off their teacher’s hats during the deposition, this post shares five reasons why that’s a good idea. . . . Understand Group Psychology Patterns for Winning Trial Strategy. ≈ Comments Off on Understand Group Psychology Patterns for Winning Trial Strategy. Should Your Eye Witness Look At The Jury On the Stand? If Not, Where? ≈ Comments Off on Should Your Eye Witness Look At The Jury On the Stand? If Not, Where? The advice is as old as the art of communication: Look at the person you are talking to. And it is good advice. Eye contact makes it easier for audiences to stay engaged and more likely that speakers will focus on their targets. For a witness on the stand during trial testimony, that means ‘Look at the jury.’ But not just the jury. A witness who shuts out counsel and fixes their gaze only on the jury is likely to look a little contrived, or even creepy. So the advice is to look at the attorney when she is asking a question, and then look at the jury when delivering your answer. But that advice can create its own problem. . . .
How To Investigate Your Jurors’ Presence On Social Media And The Internet. ≈ Comments Off on How To Investigate Your Jurors’ Presence On Social Media And The Internet. Almost a year ago, the ABA released Formal Opinion 466 clarifying that it is permissible for ‘a lawyer to [passively] review a juror’s or potential juror’s [public] Internet presence.’ Since then, researching seated or potential jurors online has not only become an option, but a necessity. Any additional information on your panel can aid in jury selection and during the actual trial, and lawyers should be doing everything they can to gather information about the individuals who may become the deciders in their case. With the accessibility and abundance of information on the Internet, it would be senseless not to use it. 67 percent of adults use at least one social media website, with 52 percent of adults using two or more. Ranging from blogs to the all-mighty Facebook, there are hundreds of social media websites where you can gain information about a potential juror. Facebook alone has 1.4 billion active users, 25 percent of whom do not use any privacy settings on their account. LinkedIn comes in at 7th with 347 million active users, and the 10th-ranked social network Twitter had over 288 million active monthly users as of March 2015 (statista.com). Beyond social networks, there are also public Internet articles, company websites, public documents, and many more sources of information that can inform you on a potential juror. But with all that information out there, it can be challenging to filter through it and find useful information. I will provide several tips on how to go about locating the full range of an individual’s online presence, and share some guidelines on identifying useful information once you do find the person. . . .